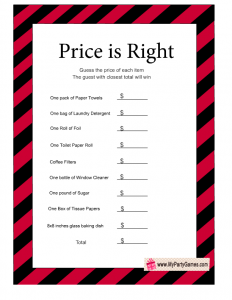 Price is right is a fun co-ed game that you can play at your housewarming party. 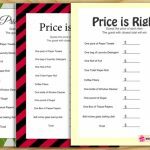 I have made Free Printables for this housewarming Party games in three different designs. You can print this game in any design of your choice. After printing the game you’ll also have to do some work. 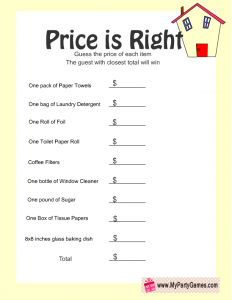 You’ll have to get your latest grocery bill and look for the price of each item mentioned in the list. You can also visit a store to check the prices of various household item. 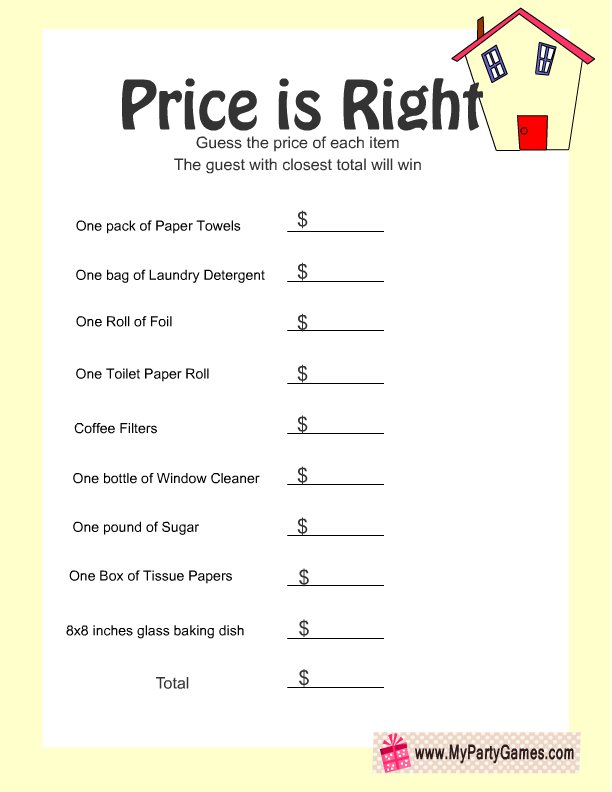 Write down the price of each item in front of it and count the total amount and this way you’ll make the answer key for your game. 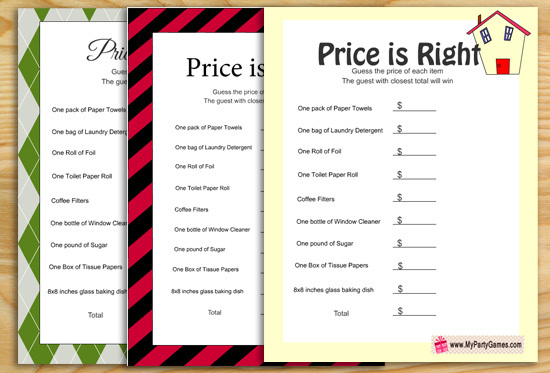 Distribute the printed game cards among your housewarming party guests with a pen or pencil. 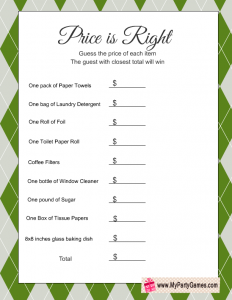 Guests will have to guess the price of each item and write it down in front of it. 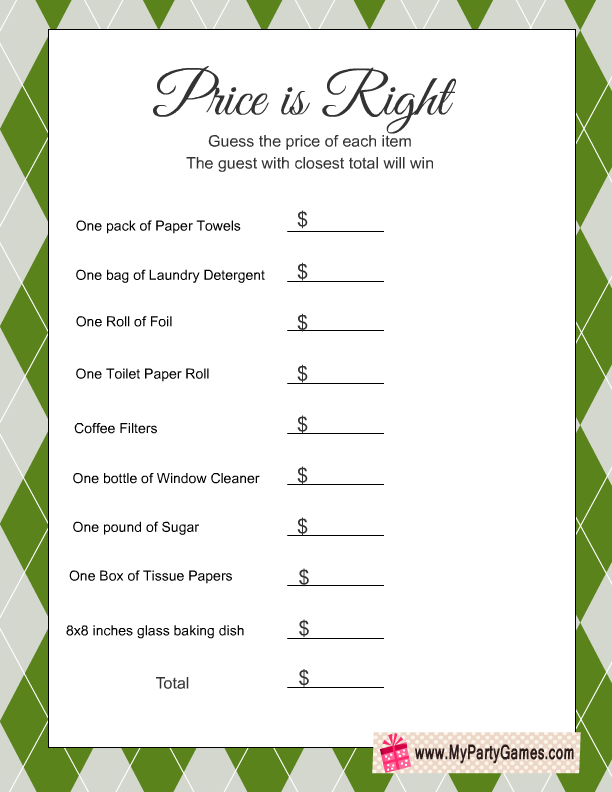 The guest whose total is closest to the actual total amount that you have calculated will be the winner. This is the first free printable that I have prepared for this game. 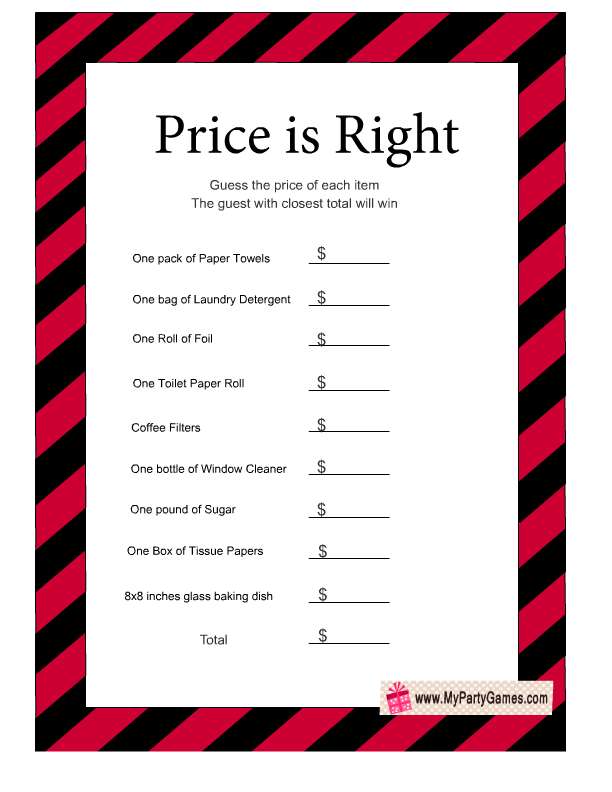 This price is right game printable has a green and grey border. Just click on this thumbnail image and then print or save the bigger PNG image. 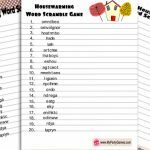 This is another free printable worksheet for this housewarming party game. 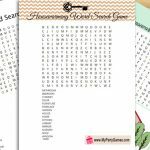 This game printable has a pale border and it is decorated with the image of a cute cartoon house. This is another free printable design that I have made for this game. This game printable has a red and black border. Click on the thumbnail image of this game and then right click and save the bigger image.